Have You Tried: a Black Radish? 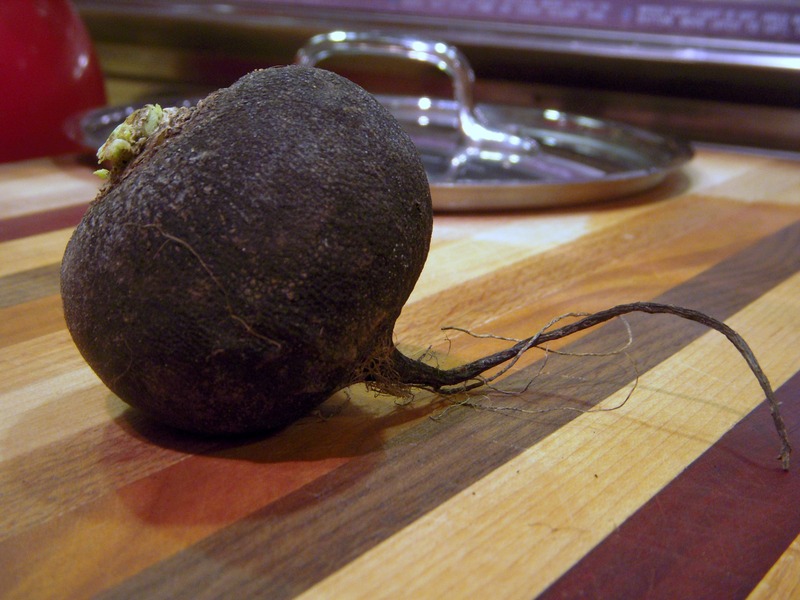 I’d never tried a black radish before, in fact, I thought it was a beet upon first glance at the farmers market. The friendly folks at Garden Works quickly set me straight though, and mentioned that it was a good complement to egg dishes. I thought it would be a nice addition to a frittata, but I had an unusual craving for potato salad (unusual because I’m normally not a big fan of potato salad), so that’s what I made. 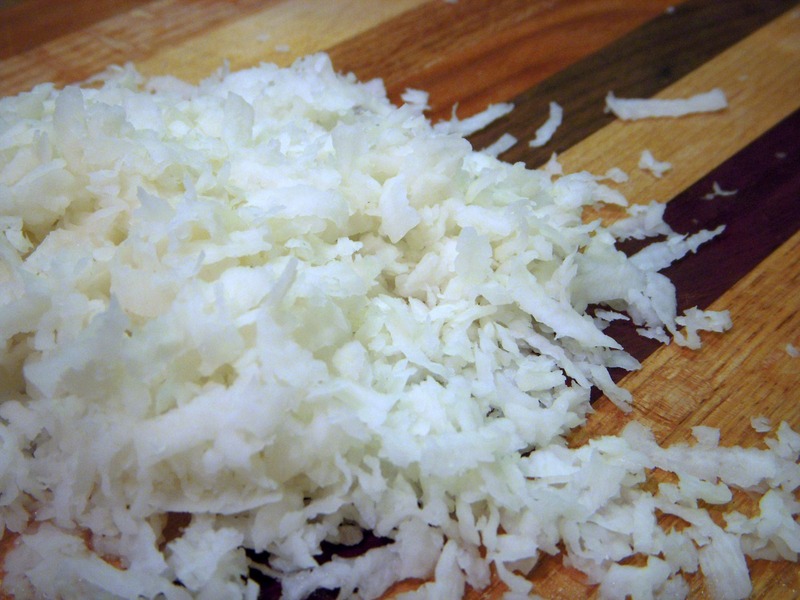 I boiled diced potatoes, drained them once they were just tender, and grated up my black radish. I tossed them both together with a little bit of Japanese mayo, salt and pepper, and served it up on a bed of greens. It was simple and tasty, and the black radish provided the perfect amount of spicy bite to the salad. As a side note, after discussing with friends that I don’t ever eat American mayos (they taste eggy and don’t appeal to me), but that I love Japanese mayos (no eggy taste and a nice tang! ), I finally decided to look up the difference. Turns out that while most American mayos are made with distilled vinegar, Japanese mayo is typically made with rice vinegar (oh and a little MSG…). This entry was posted in In the Kitchen (recipes & more) and tagged ann arbor farmers market, black radish, cooking, farm fresh food, farmer's market, have you tried, lindsay jean hard, recipes, vegetable. Bookmark the permalink. 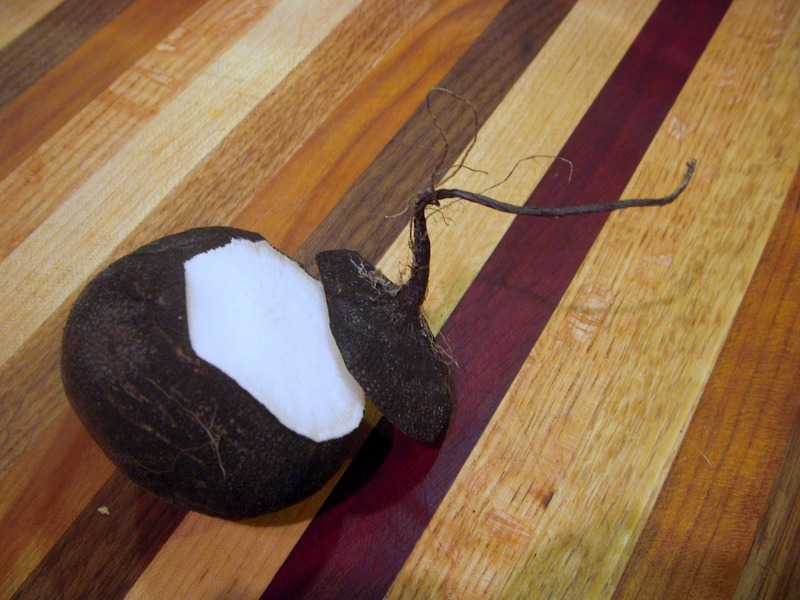 2 Responses to Have You Tried: a Black Radish?